What was one of the first things Justin Wilford thought about when his son, Max, was diagnosed with a brain tumor in 2011? Not just any kind of food – a healing, nutritious cancer-fighting diet. Justin admits getting Max’s oncologist, Victoria Shen, M.D., at Children’s Hospital of Orange County in California, on board was another matter. Justin said the hours of research, advocating for the diet and compiling his findings was worth it. Max, now 7, underwent 1.5 years of chemotherapy and 30 rounds of radiation. He is not on a formal treatment protocol right now other than the ketogenic diet. 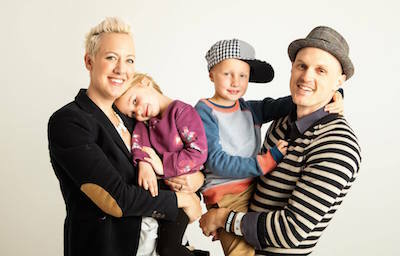 The use of integrative therapies in combination with traditional therapeutic agents is gaining in popularity said Justin, who created the MaxLove Project in late 2011 to provide families with accessible, practical and kid-friendly whole body wellness resources. The nonprofit organization aims to empower families fighting childhood cancer and life-threatening conditions. “One of the most important therapies is nutrition, which plays an important role in the whole cancer treatment journey,” he said. “We believe that true health starts when families are empowered to be active partners in their child’s healing. Shen offers some helpful tips for parents who are interested in the role that integrative health and nutrition play in helping cancer patients combat adverse effects of cancer treatment as well as promote wellness of the mind and body. “I would encourage the parents to discuss the use of complimentary and alternative medicine with their medical team since no one intervention fits for all,” said Shen. Max is “an amazing boy” and has not been slowed by any of the treatments, she said.